We’d love your help. Let us know what’s wrong with this preview of Project Dermatillomania by Laura A. Barton. 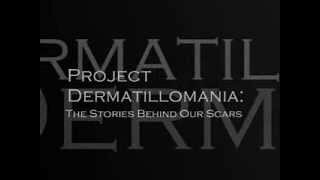 Project Dermatillomania: The Stories Behind Our Scars is a book featuring the stories of those who live with the skin picking disorder, dermatillomania, in hopes of letting others know that they are not alone. The book includes written autobiographical and creative prose and poetry, and also features full colour images inspired by our experiences with this disorder. 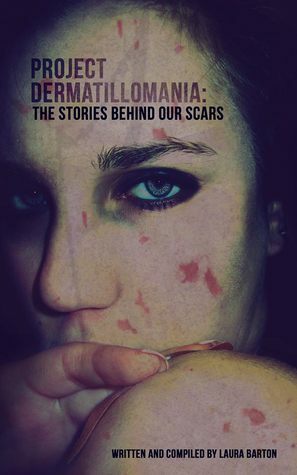 By us, Project Dermatillomania: The Stories Behind Our Scars is a book featuring the stories of those who live with the skin picking disorder, dermatillomania, in hopes of letting others know that they are not alone. The book includes written autobiographical and creative prose and poetry, and also features full colour images inspired by our experiences with this disorder. By us, for others like us. To ask other readers questions about Project Dermatillomania, please sign up. I won't toot my own horn too much here (as I am a contributor to this awesome novel) but for people who suffer or who have suffered from Dermatillomania this book is one of the first of its kind. Project Dermatillomania is written by people who know this disorder and deal with it everyday. They know what it feels like to be alone with the condition and through their own bravery and dedication all came together to share their stories to help others know that there is hope. These stories are personal, they're artistic, beautiful and raw; ranging from pieces of art, graphic design, pictures and poetry from people from all over the world. They give an insight to the turmoils of Dermatillomania which is meant to be standing point of hope for sufferers and a basis of understanding and a resource for those that love them. A great collection of personal stories about a little known problem. Really enjoyed sharing this. I'm a 20-something who lives in the Niagara Region in Ontario, Canada. I'm a fiction and non-fiction writer who uses Canadian spelling and hates coffee.